The excitement never stops in Denver! When the summer cools off and we usher in the Fall season, things continue to heat up in the Mile High city with the best events from food and drink festivals, arts and culture, concerts and stage plays to sports events, street bazaars, and so much more! So to get you even more excited with the new season, here are some event highlights you can enjoy from September to November this year. Start marking your calendar! With all the fun things lined-up in Denver in the coming months, it’s going to be one busy Fall 2014! This annual food and wine festival is a celebration of all things, well…Italian. Mamma Mia! Festival Italiano will feature more than 70 of the finest Italian food, wine, and artisan vendors who will put up every Italian merchandise possible – gelato, baked goods, pasta, flowers and herbs, pizza, other produce, and more! Live Italian music will also add to the festivities, as well as Italian movies, a lot of dancing, wine tastings for adults, and a bocce ball tournament. Belmar Center will transform into a charming Italian town. You shouldn’t miss out on the la dolce vita! Beer aficionados, these are the events for you! More than 46,000 beer fans from Colorado, the rest of the United States, and around the world will be attending this year’s Great American Beer Festival (GABF) at the Colorado Convention Center. GABF was founded in 1982, and has maintained its impact in the American craft brewing industry all these years. Visitors enjoy one-ounce beer samples from breweries, which come from all over the country. The Denver Beer Fest holds more than 200 tastings, beer-food dinner, brewery talks, tours, and more beer-oriented events throughout Denver. WHERE: Grand Hyatt Denver, 1750 Welton St. The 10th Annual Denver International Wine Festival is the premier wine and food festival in the Rocky Mountains, showcasing more than 400 international wines from 18 countries! 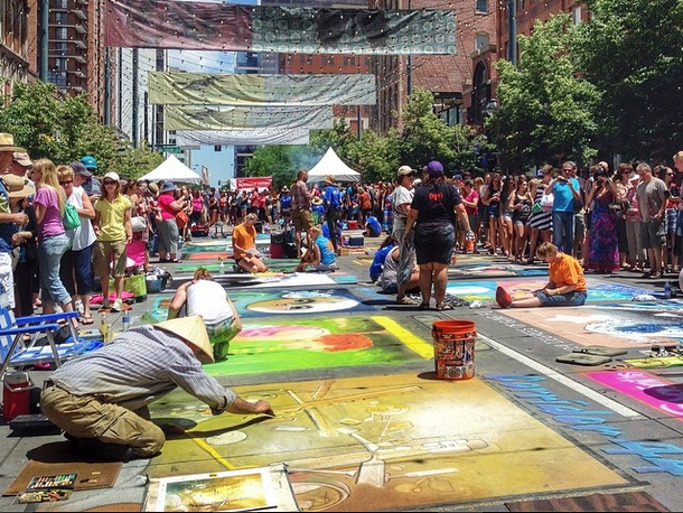 The creative community of Denver gets together and celebrates the arts every year with Denver Arts Week. This year’s arts week will take place at seven neighborhood art districts, 100 different art galleries, and 20 museums. Most of Denver’s museums will also participate in the popular Night at the Museums where these museums are open to the public for free! WHERE: SIE FilmCenter, 2510 W. Colfax Ave. The festival features more than 200 films from all over the world and has been dubbed by Indiewire as one of the top 50 film festivals in the world. The date will be announced in September, so stay tuned! WHERE: Elitch Gardens Theme & Water Park, 2000 Elitch Cir. It’s spooky time come October! Fright Fest at Denver’s Elitch Gardens Theme & Water Park is one of the most awaited Halloween events. The park transforms into a “freaky” park all month of October in commemoration of the Fright Fest. Kids and the whole family have a month-long month to “scream” fun! Search for the perfect jack o’ lantern or pumpkin pie gourd for all your Halloween festivities! Have the best time picking pumpkins from the Denver Botanic Gardens. There will also be children’s activities, carnival rides, and lots of merchandise to choose from. Have Halloween fun at the Denver Zoo with trick or treat for a cause! Boo at the Zoo supports the zoo’s mission to provide loving care to the resident animals. For the complete game schedule of the Colorado Rockies and other sports events this fall, see the Colorado Events Today sports calendar.